“I just wanted to let you know that the Kentucky Derby Game is fantastic! 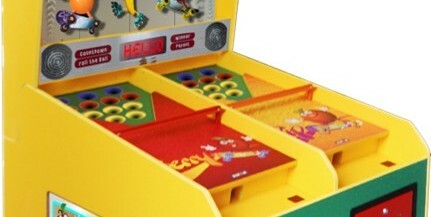 I always knew itt was a great game, but until we started operating it at Circus Circus, I didn’t realise how unique it really is. From the first day, it has been our top game which wasn’t an easy chore because we already had some very high-grossing games, we’ve even had a $3,400 day. 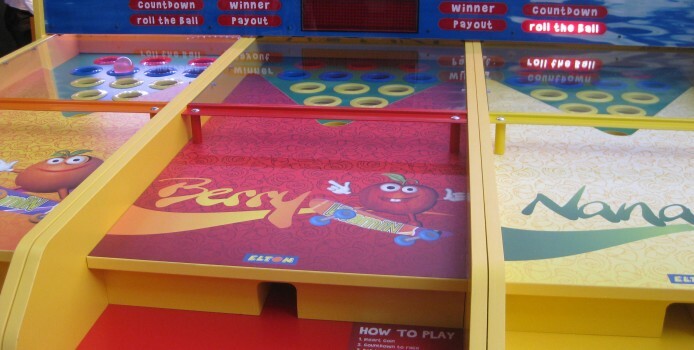 “A fantastic, fully automatic, roll a derby…I have put a number of Elton’s Gold Cups in established arcades, and they have quickly come in the top 3 game earners operating in those arcades. A fantastic achievement and I expect the Gold Cup to have one of the top ROI’s. Based on the track record of the several Gold Cups I have sold, the sheer excitement to the operators, both in terms of profits and performance and to the customer in play appeal…the Gold Cup is a sure fire winner. Congratulations to Elton. This new format has been made specifically as a fully automatic unit for 1 to 3 players with variable ticket payout or instant win capsules. It can also be made as a free play unit. With a size of only 67 inch square (1.7 metre) this game is a must for your arcade or FEC with Elton’s guaranteed quality and reliability. 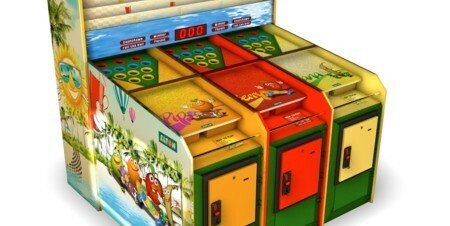 Automatic Derby offers all the fun and attractions of our Derby games without the need for an operator. Players insert their money in the machine to start the countdown to the start of the race. The playing ball is then released and the competitors roll the ball to the sound of the race commentary until a winner is announced. Tickets are then dispensed to the winner. The Automatic Derby makes a fantastic centrepiece for any venue.